It was the combination of finding an eggshell in the compost and staring at our soil test results that did it. I started researching and one thing led to another. But I figured it out, the basics of it, anyway. The result is a long text, so I’m serializing it over the next couple of days. I hope you find this sort of thing as fascinating as I do, and that it will help you with your own soil test results. Digging and moving my compost heaps over a month ago, it was interesting to find eggshells and bones, all over a year old and barely decomposed. I keep sifting them out and putting them back into the heap. I figured it is the high amount of calcium in them that makes them so hardy. This made me wonder how that calcium will ever make it into my garden vegetables. In what shape or form can the calcium in the eggshell, and the calcium originating from the bedrock, be taken up by plants? It took me a long time to find out, but I realized early on that we first need to get clear on what this “calcium” is that we’re talking about. Calcium in its elemental state is a metal – a soft gray alkaline earth metal (Wikipedia). But it is so reactive that it is never found in its elemental state, that is, all by itself. 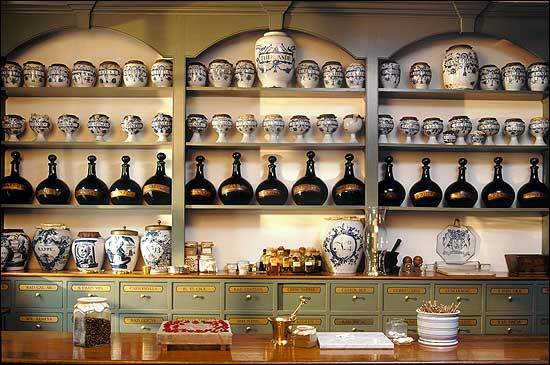 It readily combines with whatever it comes in contact with and becomes part of a compound. Thus in the eggshell, calcium occurs as calcium carbonate (CACO3): an eggshell consists of 94 to 97% calcium carbonate. Calcium carbonate is also the active ingredient in agricultural lime, which is mined from limestone. Calcium can also occur in the soil as part of the compound calcium bicarbonate (Ca(HCO3)2), or as part of the compound calcium nitrate (Ca(NO3)2). And so on. The “calcium” we will be talking about here is the calcium ion in each of these compounds, because it is only this ion that can be taken up by plant roots and thus form a nutrient. First, of course, calcium needs to be present in the soil. So where would it come from in the first place? Calcium is abundant: the third most abundant metal in the earth’s crust, accounting for 3.64% of it. It is also, by the way, the fifth most abundant element by mass in the human body: what a beautiful correspondence! Soil originates primarily from parent materials: rock. When rock is weathered or eroded, it is broken down. This can be a physical or mechanical process (abrasion by ice, for instance, or by biological agents such as lichens and mosses), or a chemical process (see 4). The left-over materials, when combined with organic materials, make soil, which is thus (almost) nothing but rock. I recommend the excellent soil page on Wikipedia. Obviously, the more calcium (as well as N, P, S, K, Mg and all the micronutrients) is contained in the bedrock in your area (and the younger the soil), the more calcium will be present in the topsoil. 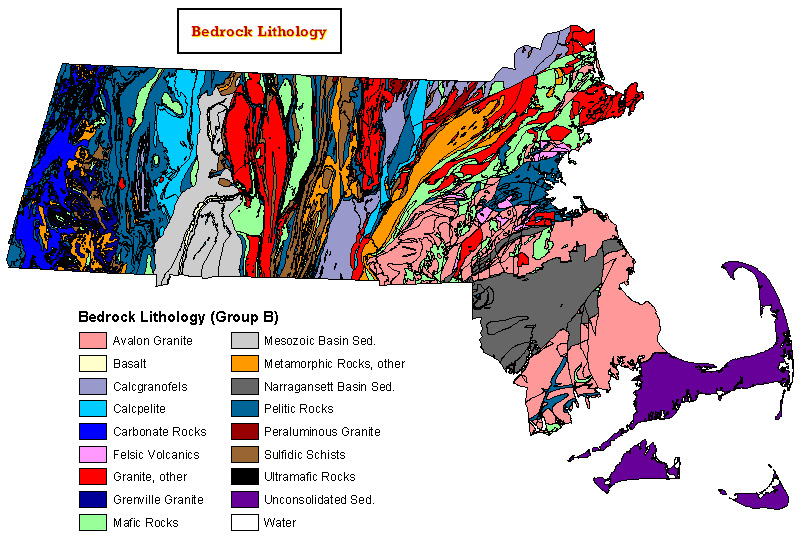 So it pays to investigate what kind of rock your garden sits on: spend a day or two (or three) navigating the USGS map library, especially the surficial earth materials and bedrock lithological maps of your region. Intrigued? This is only the first part of a series on calcium and other nutrients in soil and plants. Stay tuned! Very intrigued! This will be an excellent series. 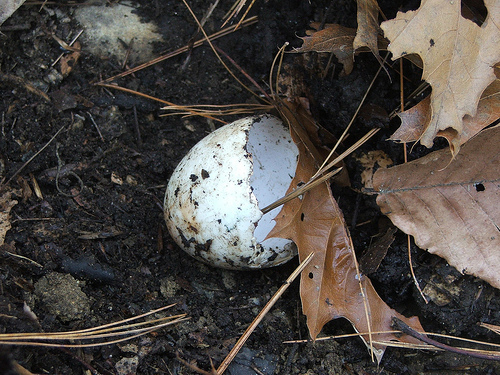 I have to admit that I’ve given up on waiting for eggshells to decompose in the compost pile. We just apply the compost with the rest of the eggshell still in it. Now that I’m researching chickens though, and learning that laying hens need a good supply of calcium, I plan to dry the shells, crumble them, and feed them back to the chickens. The rest will just continue to go to into the compost I suppose. Ah, that’s another question I wanted to solve: how does the calcium get into the egg shell? I found out that calcium needs to be dissolved before it can be taken up by plant roots (but you’ll only get to hear that in the fifth of this series!). Does it also have to be dissolved to get into the *chicken*? Is crushing it up sufficient? Intriguing stuff! I thank you for tackling some complicated topics. I definitely feel your pain Leigh. I think the series will definitely enlighten people and really help them to make it work.